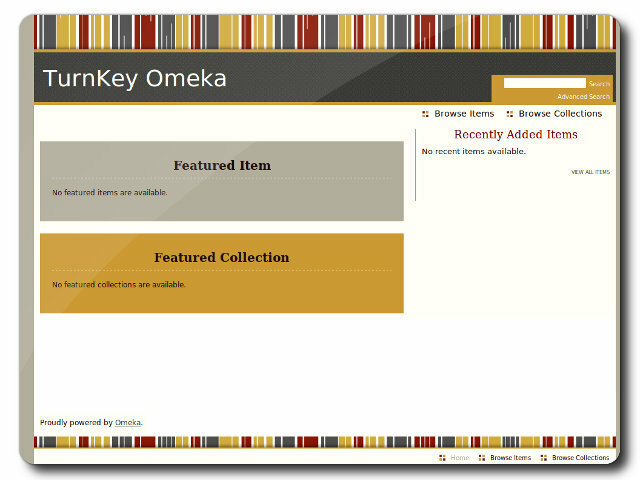 Omeka is a standards-based web-publishing platform for the display of library, museum, archives, and scholarly collections and exhibitions. Its "five-minute setup" makes launching an online exhibition as easy as launching a blog. It is designed for scholars, museums, libraries, archives, and all cultural heritage enthusiasts. 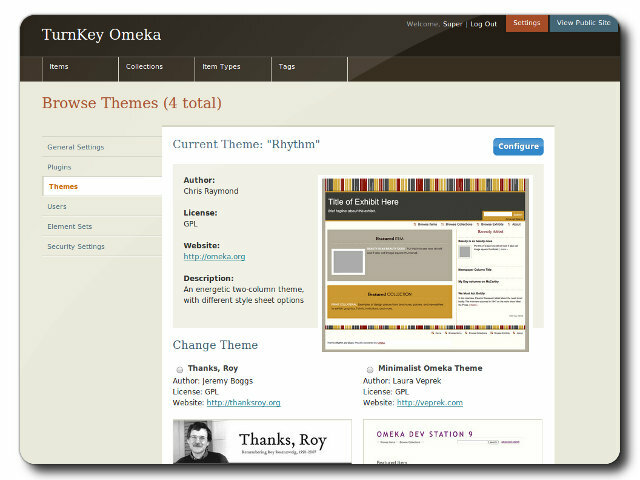 Security note: Updates to Omeka may require supervision so they ARE NOT configured to install automatically. 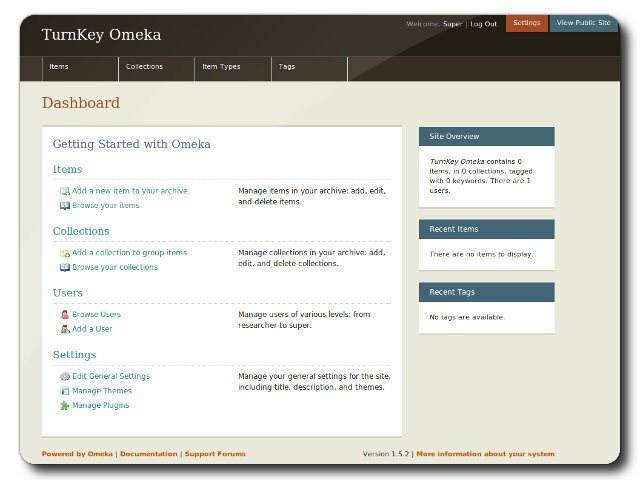 See Omeka documentation for upgrading. Adminer administration frontend for MySQL (listening on port) 12322 - uses SSL).